Back in November the Editor of Good Reading Magazine sent me a copy of a book that she though I might like to read and review. 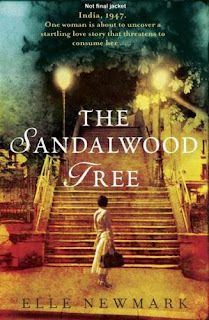 The book was The Sandalwood Tree by Elle Newmark, and I really enjoyed it. Today I hopped on the Good Reading Magazine website and searched for the name of the book I'd reviewed, and, sure enough, there was my name underneath it and a line from my review! I went to the newsagent in my lunch break and grabbed a copy of the magazine and there in the middle was my review in full. I know it's only a book review, but I was pretty excited to see it there, for all of the readers of Good Reading to see. It's pretty cool to think that someone might choose to read that book or not because of review I wrote in a magazine. 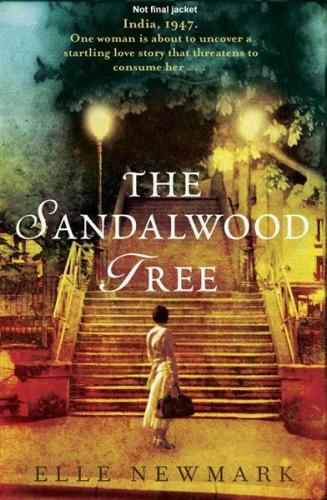 The Sandalwood Tree is set in 1947 and tells the story of an American couple, Martin and Evie, who move to India with their five-year-old son. Martin struggles with bad memories from the recently finished World War II, and Evie finds herself increasingly distanced from Martin. While cleaning her kitchen one day Evie finds some letters written by a girl from 1855, and she becomes obsessed with learning of the girl and her best-friends fate. The post-war story and the Victorian story work really well together and I found myself becoming really caught up, not just in the story, but the colourful India the author describes. I gave the book three stars in my review, which translates to a Good Read. If you like books by Geraldine Brooks', such as People of the Book, and others with an historical bent then you'll probably enjoy this. I'll add it to my list - i posted on my blog this week asking for good read suggestions...looks like this is your contribution Kylie! Mazel tov. But why would people who know absolutely nothing about you buy a book based on your recommendation? I don't mean that to sound mean but if I saw a review by Frank N Cents I wouldn't be too impressed. Most movie reviews by people you've never heard of are written by the studios. Way to go Kylie. That would be so cool to see your name in print. Well I've always wanted to see my byline in printm anyway.